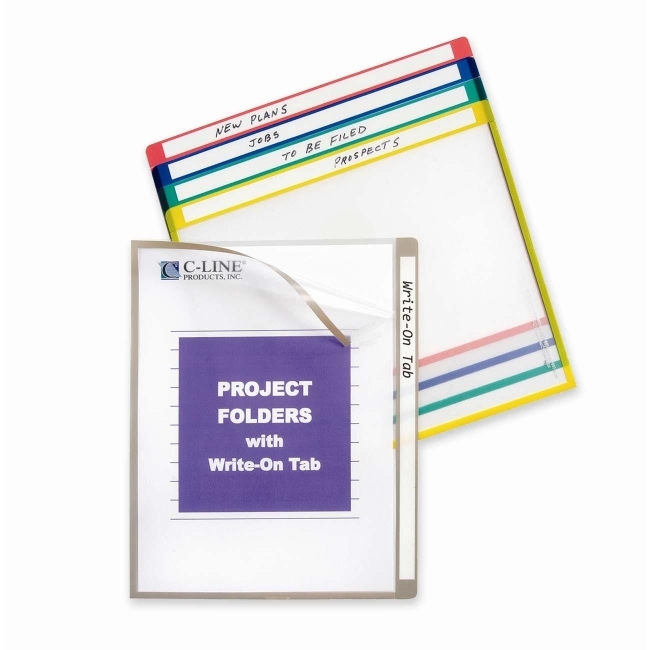 Colored-coded folders with write-on tab help you divide, organize and color-code projects. Made of heavyweight archival-quality polypropylene. Write-on color-coded tab accepts markings from pencil, ballpoint pen or permanent marker. Folders open on two sides for easy access and feature reduced glare.